The migration could take as long as a year to complete. In the meantime, they are developing some branding and marketing initiatives to assist people with the transition that include media, online marketing and CRM. 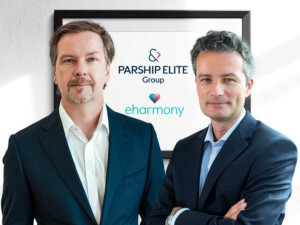 Schiffers said eHarmony will still focus on serious daters, and is aligned with Parship’s overall mission, which is appealing to those seeking long-term relationships. He also argued that the popularity of apps like Tinder were actually helpful in driving more serious customers to their platforms. He noted eHarmony’s success in the English-speaking market, thanks to its scientific research and development of its algorithm as well as twenty years’ experience in the online dating industry. He wants to keep this reputation strong. He also said that he felt eHarmony had lost relevance in the past few years due to changing technology, namely that daters have migrated to swiping on their phones rather than filling out time-consuming online profiles. He also noted the company’s antiquated approach to media and online marketing. Facebook Dating could prove to be a big competitor, but right now Schiffers welcomes them into the fold. He said that Facebook offers a broad approach, and it could be tricky being a service provider for online daters while simultaneously offering itself as a platform for advertisers. He sees Tinder as a competitor, but they aren’t necessarily targeting the same demographic. For more on this dating service you can read our review of eHarmony.